GFC knows that putting all the pieces together to run a successful production is hard work. We want to make renting production gear and getting it to your location easy and affordable. Unlike other rental companies, the Owner of GFC is personally committed to providing the very best service possible and will bring all your rentals to set for you. This saves you time and money, no need to hire someone to pick up gear the day before your shoot, no need to hire someone to drop gear off the day after. No unnecessary truck or van rentals either. GFC, a different kind of rental company. GFC got its start on a commercial video set in 2013, where GFC’s Owner and a fellow PA were discussing the need for someone in San Diego to start a local production rental company that would provide the “right stuff”, reliable gear that was in good condition. A few months later GFC was in business with a handful of walkies, a few tables and chairs, a couple tents, and a garage that was getting crowded. Today GFC has an office with warehouse space in Central San Diego, lots of walkies, and a garage that can once again fit a few cars. Our philosophy is the same, GFC wants to rent you the “right stuff” and make it easy and affordable for you. GFC, a different kind of rental company. GFC provides a top-notch quality set environment that rivals or exceeds the expectations of the typical high-end production. The clean, professional environment Cliff Lawrence and his crew provides for agency representatives is unrivaled on productions I work on. His equipment is clean and well maintained, and his personnel are helpful, friendly and extremely diligent. The thing that sets Cliff and GFC apart from other production service companies is his attention to small details. Little things, like a power strip on every table for client’s laptops and cell phone chargers -these are the extra touches that stop a client from asking an electrician and slowing down the creation of content on the set. With Cliff and his crew on the job, you don’t have to worry about your client’s comfort and productivity on site. I look forward to working every time I see GFC on the call sheet. I know I can expect a well-oiled machine, with a friendly face and a smile. Always a joy to work with Cliff and the crew at GFC. Coming into San Diego at the tail end of a small, multi-city shoot and with limited production support, Go For Cliff Productions was a life saver! Not only did GFC have the production supplies I needed (and at budget-friendly rates), Cliff went above and beyond to help me out with local info, making a couple of calls for me as I was getting on a plane and going so far as to rent a production van for us through his company. GFC will always be my Go To in San Diego! 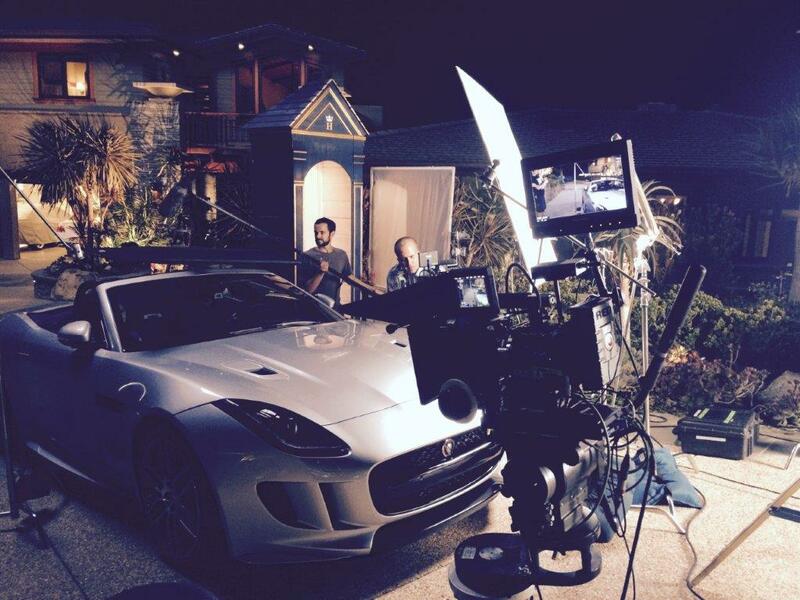 GFC Production Rentals exceeds the expectations of anyone who is familiar with Los Angeles Production Supply vendors. The equipment is top notch and Cliff’s a wealth of information and support for anyone producing a shoot in San Diego County. I had the good fortune of meeting Cliff and GFC Production Rentals 3 years ago, and have never looked elsewhere. Since Cliff is the owner / operator of his gear, it always shows up on time, and in tip top shape. Having GFC here in San Diego is a true blessing for our ever growing production community! One of the biggest problems I come across working productions is old, faulty equipment that’s been overused and uncared for. I can’t tell you how many times I’ve had to deal with broken pop-up tents, radios that don’t work, or director’s chairs that fall apart the second you unfold them. It slows production down, makes for a lousy day on set, and can even be dangerous at times. But when my company rents from GFC, I get a big smile on my face. Because I know I’ll be using the newest, cleanest, and most efficient production materials in San Diego. Cliff and GFC was the ideal type local production support for a job as an out of town producer. He had great options for production supplies, and was timely and accountable. His ability to drop-off and deliver the production supplies to our set also helped quite a bit in the job logistics.